Students apply through a U.S. Embassy or Consulate within their home country. The application process includes the completion of the DS-160 (online application for the F-1 visa) and DS 157 forms (for all males between the ages of 16-45), the submission of a photo, and the payment of an application fee. The F-1 visa interview generally takes place in the U.S. Embassy or Consulate located in the applicant’s home country. The applicant must bring the following documents to the interview: the I-20, a valid passport, the DS-160 form, and an application fee receipt. The Embassy or Consulate may also request additional documents, such as transcripts and test scores. •	F-1 visa holders may not enter the US more than thirty days before classes begin. •	F-1 visa holders are permitted to work on-campus for up to twenty hours a week. Students who wish to work longer hours must receive authorization from the U.S. Citizenship and Immigration Services (USCIS). USCIS may also grant permission for Curricular Practical Training and Optional Practical Training for a total of twelve months. •	F-1 visa holders may remain in the U.S. for up to sixty days after the completion of their academic program. Please note that F-1 visa approval is not guaranteed, and the applicant can be denied issuance of the F-1 visa if they are found ineligible pursuant to the law. 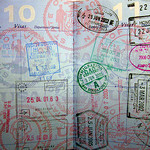 For assistance with your student visa application, please contact us at 317.569.0770 or www.hardenjacksonlaw.com.